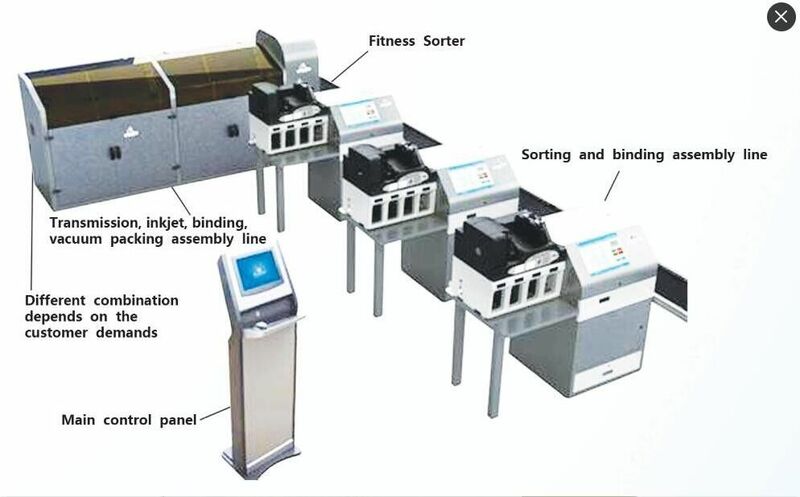 ● Can execute operation line automatically through banknote sorting, binding, stamping, transmission, packing, inkjet printing and film wrapping. ● Can set the operation line according to the quantity of banknotes, save the cost. ● Can satisfy the different requirement, such as ATM use, bank storage or take back by central bank, etc. ● Closed operation, no dust pollution. Reduce the transfer links and the banknote pollution, also reduce the cost in banknote circulation. ● All is automation, save the human power and reduce labor intensity, also reduce the risk of handling the banknotes. ● Use the intelligent software control platform, all time monitoring.